Due to the busyness of the season thus far, I have failed to find time to post on my blog. However, most of the Midwest was blessed with a very large snow system and many families were blessed with extra family time. Our family has taken advantage of the time to spend together, we decorated our tree, played in the snow, drank hot chocolate, and shared many laughs. 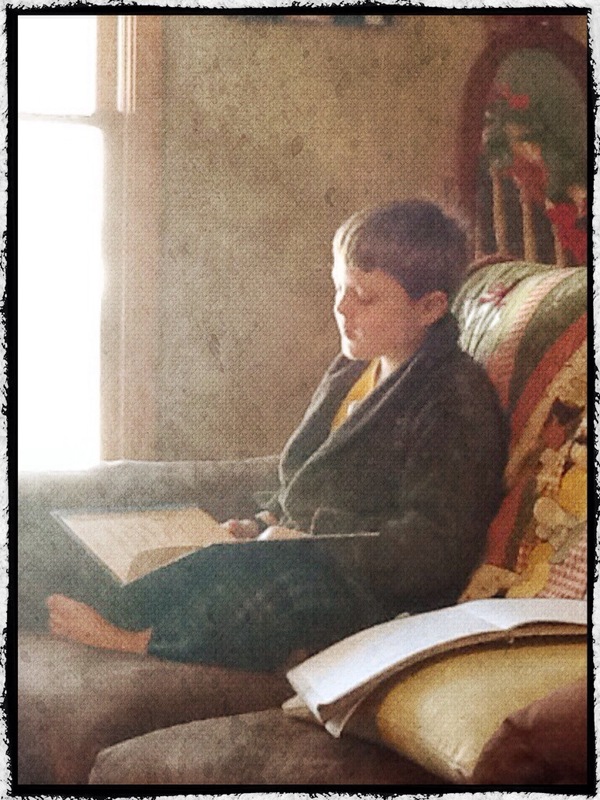 This morning, I was touched in a special way, as we sat in the living room, I looked over and saw Christopher in his housecoat looking at Christmas books and singing. These are the moments I cherish! These are the moments I want forever ingrained into the fibers of brain! These are the moments I live for! It is in these special moments, I STOP… And give praise to the Father in Heaven, the Giver of all good gifts! Dear friends, It is my hope that in the hustle and bustle of the season, we can STOP… and take a moment to cherish our blessings, and most importantly thank the Holy father for the abundant blessings in our lives! Most importantly let’s STOP and give thanks for the “Greatest gift of All — Jesus Christ”. Remember the reason for the season— To celebrate the birth of Jesus Christ! Certainly is amazing! Love Him!